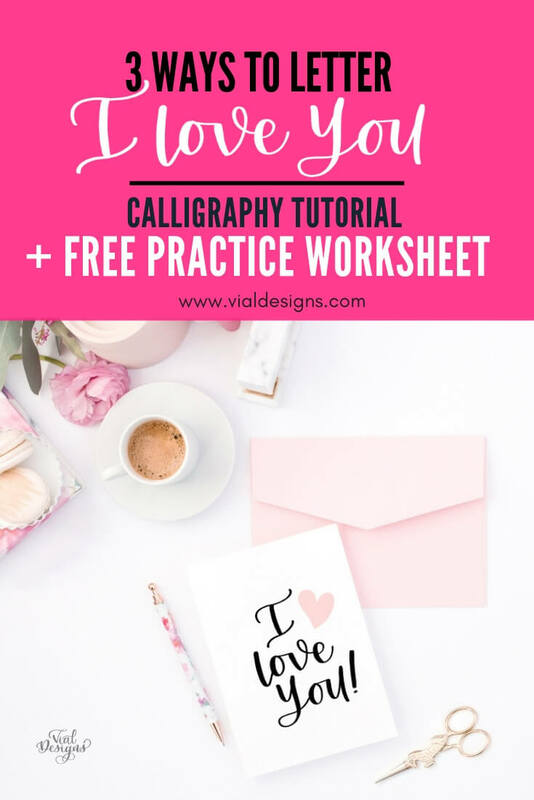 Three ways to write I Love You in calligraphy – tutorial plus a free calligraphy practice sheet. GETTING READY FOR VALENTINE’S DAY? Since Valentine’s Days is less than a month ahead and you might be getting ready for it. So I’d thought I’d help you by making a tutorial on how to write I love you in calligraphy. I have to say I’m not a huge fan of celebrating Valentine’s Day. It has to do with the over-commercialization of the holiday. Also, I believe in celebrating love every day. I know that not every day you’ll be able to give (material) presents to your loved ones, but what you can give is your time, being present is the best gift you can give. With that said, I don’t see anything wrong with people who do make a big deal out of it. If you do, no judgment over here. Bonus points if you love to give handwritten notes or cards. If that’s the case, I’m glad you are! I believe there is something SO special about giving a handwritten card. 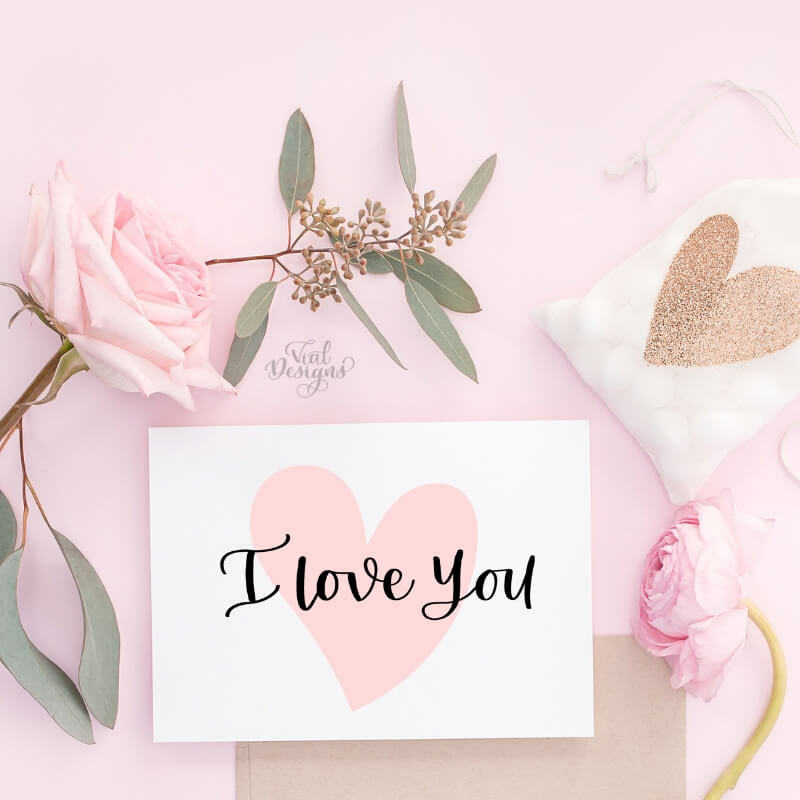 And that’s why I decided to make this “I Love You” tutorial, to help you learn three ways to write I love you in calligraphy. Even if you don’t celebrate Valentine’s Day on February 14, I know you’ll have more occasions to write this phrase. It’s better to be prepared and start practicing for when the time comes, and you need to put your new calligraphy skills into play. 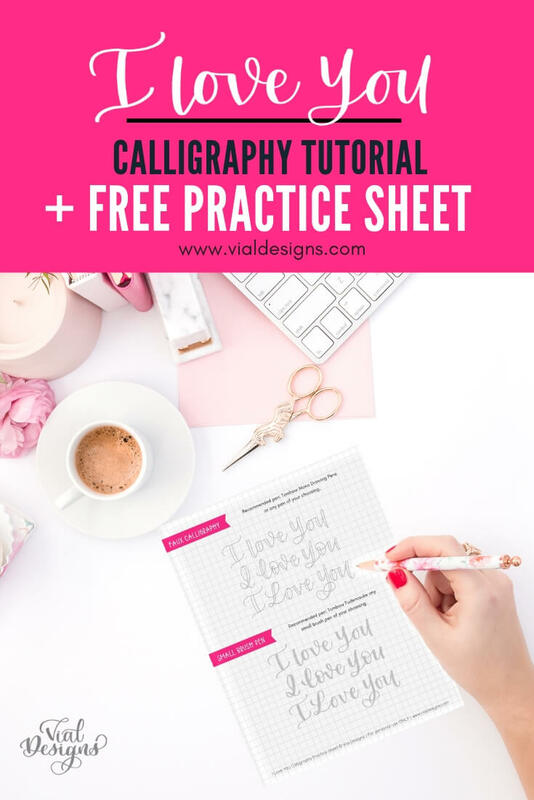 In this tutorial, I’ll show you three different ways you can write “I love you” in modern calligraphy. I will be going over the three different styles with Faux Calligraphy and Modern Calligraphy using a small brush pen. Monoline pen: Tombow mono drawing pen or any pen of your choice. Small brush pens. For this tutorial, I’m using Tombow Fudenosuke Brush Pens. Other options are Tombow Fudenosuke Brush Pens, Zebra Funwari Fude Brush Pen or Pentel Fude brush pens. Any brush pen with a small brush tip will be good for these worksheets. 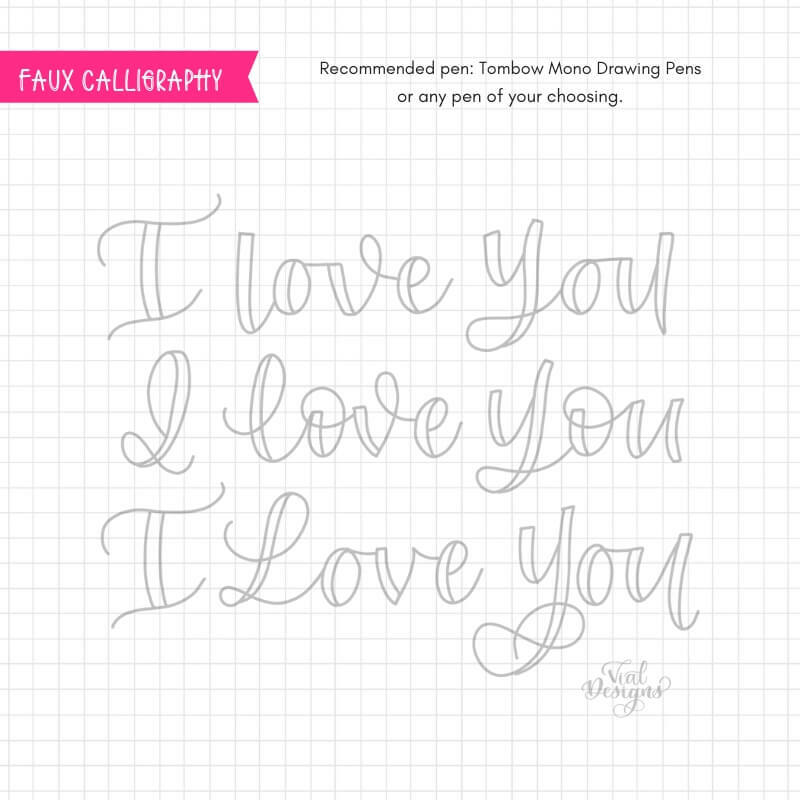 Optional (but highly suggested): “I LOVE YOU Calligraphy Practice Sheet I created for you. You can access the worksheet from my resource library. If you don’t have the password yet, make sure you fill in the form at the bottom of this blog post. The first part of the tutorial is doing Faux Calligraphy. Above is the picture of the first part of the FREE calligraphy practice sheet I created for this tutorial. I always recommend learning faux calligraphy before you move on to calligraphy with brush pens or pointed fine pens. Another essential reason to use faux calligraphy is that if you don’t have a brush pen yet, you can still practice your calligraphy with any pen you have. For this part of the tutorial, I recommend the Tombow mono drawing pens. But you can use whichever pen you prefer. 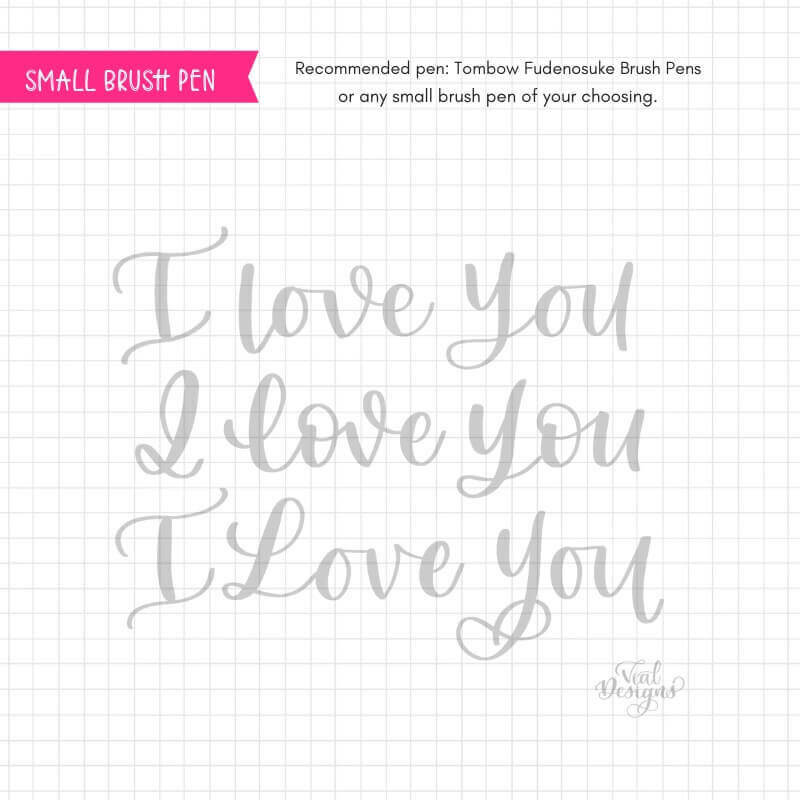 The second way of doing “I love you” in calligraphy is by using a small tip brush pen. If you don’t have easy access to a printer for multiple copies, another option is to get tracing paper. Print the worksheet once and use the tracing paper over it to practice. You can also use regular paper and a lightbox, which is perfect for tracing. 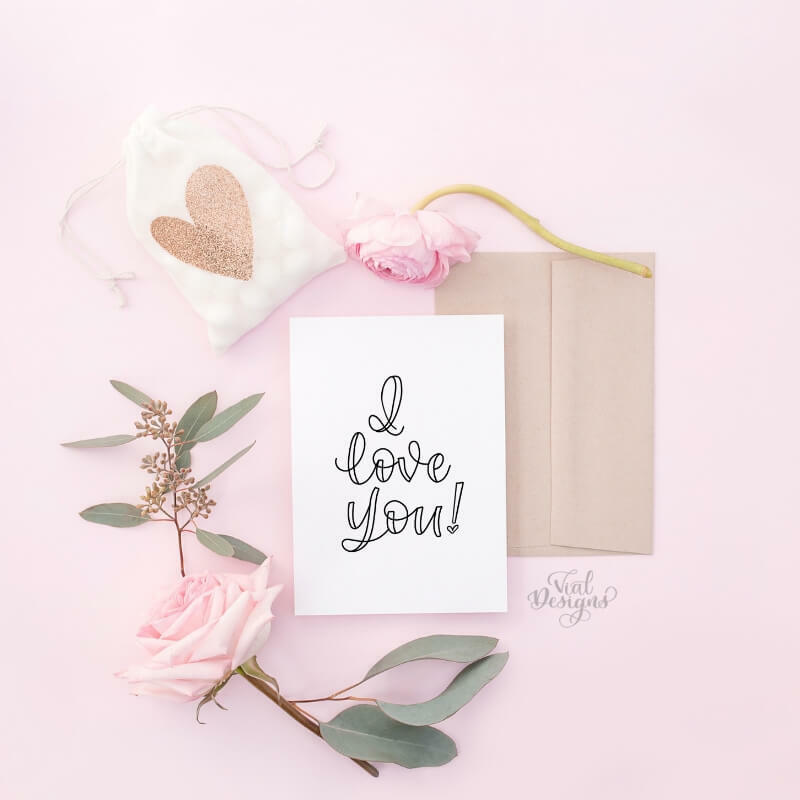 Once you’re done practicing, you can turn your beautiful calligraphy into something like the card below and give it to your loved one. Which of the three ways to write I love you in calligraphy was your favorite? I hope you have fun practicing and learning calligraphy. If you want to have access to a particular word or phrase to practice calligraphy, make sure to leave a comment below. 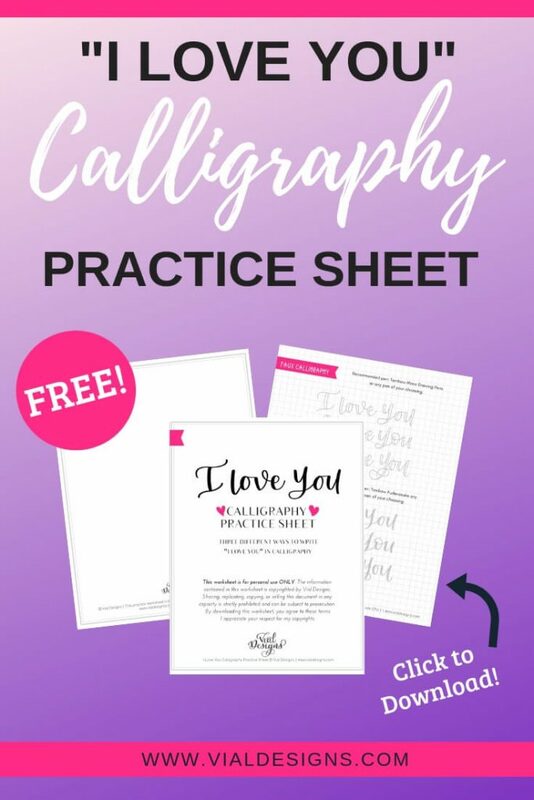 I will be choosing new words every month to turn into free calligraphy practice sheets. WANT TO REMEMBER THIS FOR LATER? 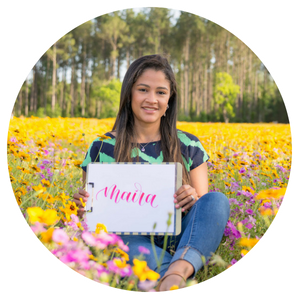 SAVE THIS CALLIGRAPHY TUTORIAL TO YOUR FAVORITE DIY PINTEREST BOARD!